More Americans than ever became eligible for mental health coverage under the Affordable Care Act (ACA). But a new survey conducted by the Association of American Medical Colleges shows there may not enough psychiatrists to keep up with the growing demand for care, reports the Huffington Post. There are multiple reasons for the shortage of psychiatrists, including the growing number of these health professionals who are at least 55 years old and preparing to retire or reduce their patient loads. In addition, the field of psychiatry suffers from the perception that its professionals are inadequately reimbursed by government and private insurance plans. 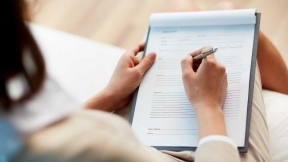 What’s more, some psychiatrists view the amount of paperwork required by private insurance companies and Medicare burdensome, and feel these administrative responsibilities cheat patients out of the quality time they deserve. Federal authorities have designated more than 4,000 regions in the United States as suffering from a shortage of prescribing mental health professionals—defined as locations having more than 30,000 people per psychiatrist. In addition, a report from a health care staffing company shows that the distribution of mental health providers is drastically uneven across the country. To fix the problem before it gets worse, mental health industry insiders suggested doctors meet with patients via video calls (such as apps like Skype or FaceTime). Another solution suggested was to provide primary care doctors, nurses and social workers with specialized training in psychiatry, a strategy called collaborative care.